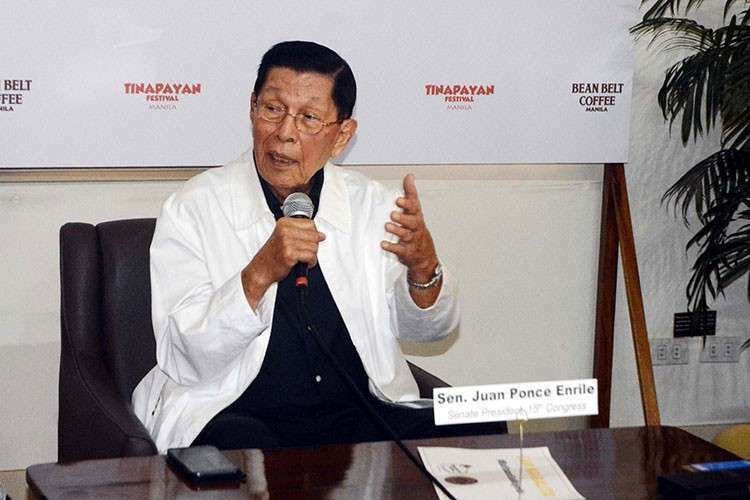 SENATORIAL candidate Juan Ponce Enrile is renewing his pledge to make Filipinos happy by pushing for more players in the telecommunications industry. This, according to Enrile, is part of his sweeping plan to bring in more foreign capital in a bid to drive up competition and provide more jobs for Filipinos. The former Senate President, who won his 2010 re-election bid under the spiel of “Gusto Ko Happy Ka,” urged the Duterte administration to be open to more telecommunications companies who are willing to invest in the industry. Enrile, who is seeking a fresh term in the Senate this 2019, said that more telco firms would be good for the Filipino people. “We should have not only three. We should have as many in order to make our communications system efficient,” he said, referring to the present players and the entry of a new telco firm under the consortium of Dennis Uy’s Udenna Corporation and China Telecom. Enrile believes that the more telco firms, the better for the consumers who are reeling from one of the highest telco charges and the slowest service in the Association of Southeast Asian Nations (Asean). “That is to me the most important thing to foster -- efficiency of the system and affordability of the people using it,” the four-term senator said. As Senate President in 2008, Enrile is credited with protecting the rights of consumers in the telecommunications industry by spearheading a Senate investigation into what he described then as the "disappearing cellphone load" and "cellphone load robbery" schemes. He also filed a bill regulating the telecommunications industry. Enrile’s bid to attract more investments to the telco industry is part of his overarching platform to revise economic provisions that would ease restrictions on foreign investments. Enrile maintained that the country is in dire need of “capital” that could only be acquired by opening up the country to more foreign investors. “Gagawa ako ng bill at isasalang ko ‘yun sa Senado upang buksan ang ating bansa sa capital na manggagaling sa ibang bansa,” Enrile said in an interview. The former senator’s proposal is aligned with the push of the country’s economic managers to seek amendments in the Constitution to undo the limits on foreign capital.